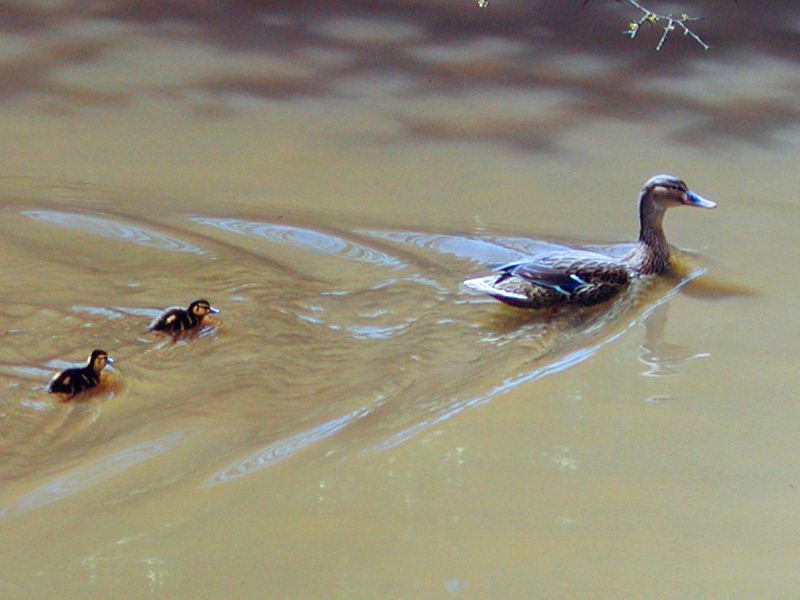 A mallard guides her brood across a muddy pond in the April sunshine. In this painting I wanted to explore the idea of the empty space of flat colour, in the manner of the large abstract canvases of Rothko. I was also intrigued by the challenge of making this flat, largely featureless block of colour look like water. I spent many hours at the Wildfowl and Wetlands Trust’s (WWT) centre at Slimbridge, studying the muddy brown pools and painting squares of brown colour! 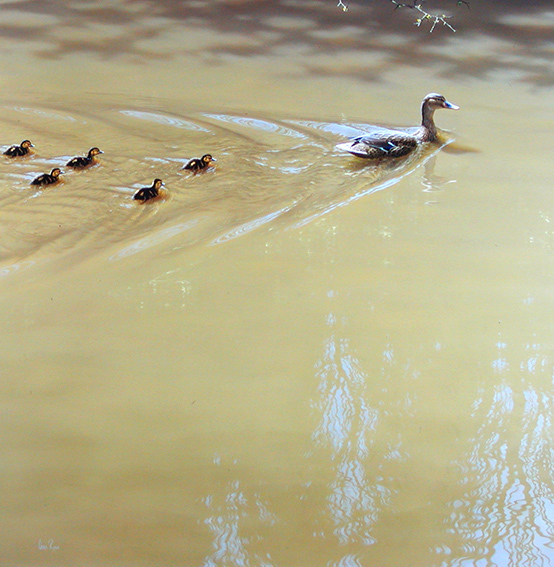 To get the colour of the water just right was critical to the success of this painting. On the final studio piece I wiped out and re-painted it three times before I was happy with it.